Headquarted in Shenzhen, China, DJI produces excellent drones of every variety. Specially famous are their Phantom series quadcopters with GPS First Person View. 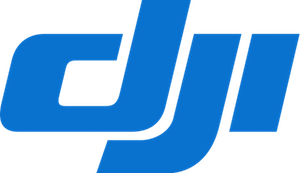 With both hobbyists and professionals patronising their products, DJI has released a number of excellent drone devices. Chief among them is the DJI Phantom 3, which is a ready-to-fly quadcopter with video capabilities. Phantom 2 comes equipped with a GoPro camera for filming enthusiasts eager to get the high overhead POV shot for their movies, vines etc. A French manufacturer, and still a relatively late arrival to the market. 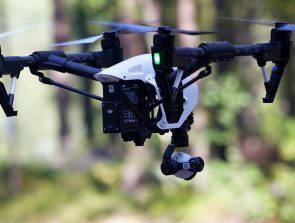 Until fairly recently, Parrot was mainly concerned with wireless devices sales and manufacturing, but since entering the Unmanned Aerial Vehicle market, the company has found significant success thanks to the AR drone and the AR Drone 2.0, both of which have been integrated with an FPV system so the drone can be controlled by a smartphone app. A pioneer since its inception, Yuneec has offices in several countries and is a highly prolific drone manufacturer. 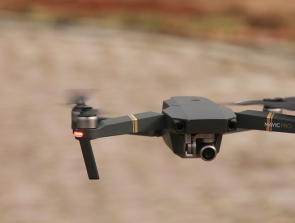 Yuneec is responsible for creating the first commercial ready-to-fly drone, the Typhoon Q500 quadcopter. More recently, a SteadyGrip was added to the Typhoon model along with a 4K camera to turn it into a ‘Air and Ground Imaging Solution’. The device offers a range of features like Watch Me, Follow Me and the Dynamic Return Home to make video recording simpler than ever. The Typhoon H 4k collision avoidance helicopter is a popular choice among professionals who need to use the drone for work. 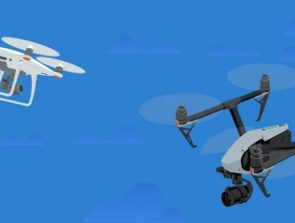 A Chinese manufacturer that produced a variety of popular drone models, including the Hubsna X4 H107C and the Hubsan H107D FPV X4 Mini RTF Quadcopter. This company has resources in both America and Mexico. Their IRIS Plus model is still considered an industry standard, while they are also responsible for SOLO, the world’s first ‘Smart drone’. Their most popular products are autonomous drones with GPS way point planning, among other features. Their website is full of useful information about building and flying your own drones. 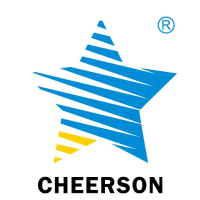 Cheerson Hobby has a distinguished history of designing remote-controlled toys, and the drones they manufacturer are some of the best on the market, like the Cheerson CX-20 open source drone, a popular choice for aerial video production. Their CX-10 Mini quadcopter is widely considered one of the best models of its kind on the market today. Based out of Illinois and owned by Horizon Hobby, quadcopters created by Blade offer several enhanced features for their drones, like the SAFE, to make flying easier and safer. A host of drone types are available on the Blade website, with the Blade Nano QX being the most popular among them. China again! Man, they’ve really cornered the drone market. 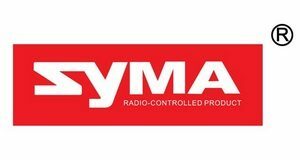 Anyway, Syma Toys is located in Shantou, China and one of their most recent offerings, the X5C, is one of the bestselling quadcopter in the world. Additionally, the X5C-1 Explorer 2015 Version, the Syma X11 mini-quadcopter and the X5SW Plus are just some of the excellent drones they offer in the quadcopter department. Based in China, and still quite new to the market, UDI have a line of radio-controlled machines, from cars to helicopters to, of course, quadcopters. Locaed in Guangzhou, China, Walkera offers a range of quadcopters of excellent quality, from the QR LadyBird V2 Mini Quadcopter to the Walkera QRX 350. 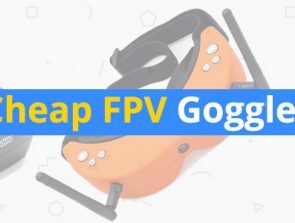 Recently, they have invested a great deal of time and money in drone racing, and have come up with a number of racer drone models like the Waklera Runner 250 Racing Drone and the Walkera Rodeo 150 RTF FPV Quadcopter. An entry from Illinois, Hobbico is the world’s largest retail distributor of hobby products. Naturally, drones for hobbyists was a natural fit for them. They have more than 30 drone products in their inventory, including the Dromida Ominus, Estest Proto X and the Heli-Max. 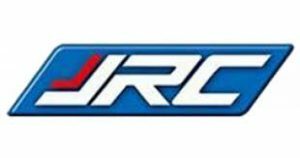 A toy manufacturer from China, JJRC specializes in the creation of remote-controlled vehicles. The JJRC H36 Mini Quadcopter is a very popular mini drone among hobbyists for its small size and agile navigator capabilities.